LASER stands for Light Amplification by Stimulated Emission of Radiation. It is a high energy beam of light which is used to treat the eyes in various ways. LASERs used in the OPD (Out-patient department) are mainly used for the management of retinal and anterior segment conditions. These are done usually to the swelling in the central part of the retina (Macular oedema), for areas of ischaemia in retina especially when abnormal new vessels are formed or to weak areas in retina (holes, tears). The eyes will need to be dilated prior to the treatment. 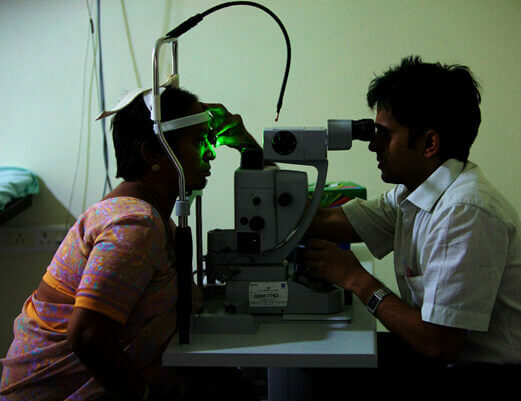 LASER can be delivered either by indirect ophthalmoscope (LIO) or by slit lamp. LIO is usually preferred if the area to be treated is in the far periphery or when the media is very hazy due to cataract or vitreous haemorrhage. 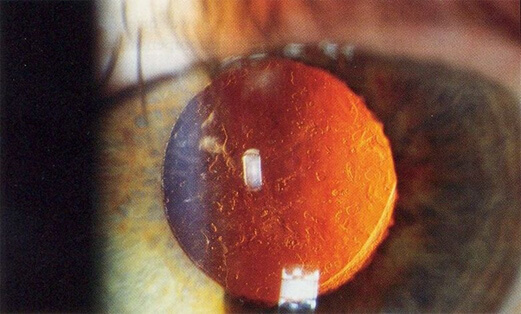 A contact lens needs to be applied on the eye before slit lamp delivery of LASER. Hence, anaesthetic drops are applied before commencing slit lamp delivery of LASER. The procedure usually lasts for about 5-15 minutes. This is the conventional form of retinal laser and gives the best result in a clear media. This LASER can be delivered by LIO or by slit lamp. Our hospital has facilities to deliver this LASER through slit lamp as a single spot or multiple spot LASER. 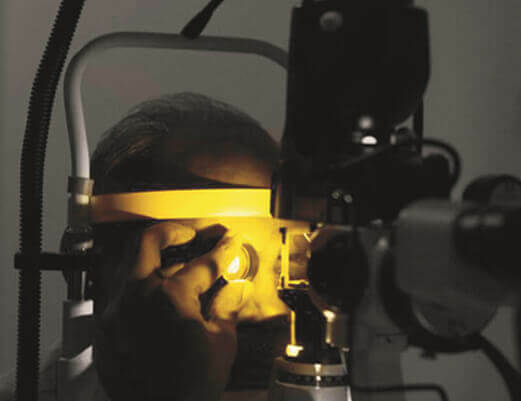 Adding to our unrelenting efforts to be the best in Retina and Eye care, we introduced in 2014, for the first time in AP & Telangana, the Yellow LASER, for the treatment of multitude of macular diseases like diabetic macular oedema, CSCR and ARMD. This makes us one of the handful of Eye hospitals across the country to possess such remarkable and state-of-the-art equipment. 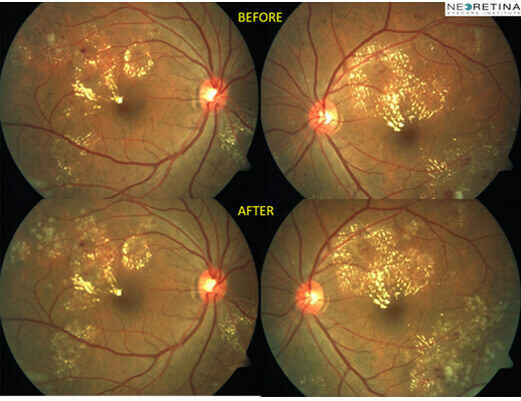 The Yellow LASER also heralds a new beginning in the area of Diabetic Retinopathy, as it has been proven to be extremely effective, besides being safer than the existing technology. This LASER has an ability to penetrate media opacities like cataract and vitreous haemorrhage as it has minimal light scattering property thereby providing more accurate treatment. Unlike conventional green LASER, the Yellow LASER has more consistent effect on patients with irregular or light fundus pigmentation as it is less dependent on melanin in retinal pigment epithelium (RPE) and more dependent on haemoglobin on choriocapillaris. It is minimally absorbed by macular pigments (xanthophylls) and well absorbed by oxygenated haemoglobin. It is also the ideal wavelength for micro pulse sub threshold laser therapy used for diabetic macular oedema, branch retinal vein occlusions and central serous retinopathy. With this mode, exposures as low as 10 milliseconds are possible, hence enabling LASER treatment with no visible endpoint or tissue damage. 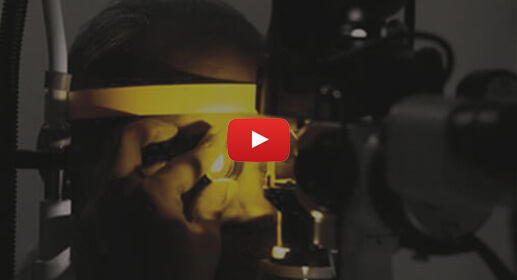 Due to these enhanced safety features it is the treatment of choice for macular LASERs. Our hospital has facilities to deliver this LASER through slit lamp as a single spot or multiple spot LASER. Worsening of macular oedema. Multiple sessions of conventional LASER are advocated in order to overcome this disadvantage Expansion of spot size resulting in scarring and RPE atrophy. We are also the first in AP and Telangan to acquire the latest Multispot Pattern LASER photocoagulator. Here multiple spots of LASER can be delivered to the retina in a pre-fixed pattern. The exposure time is drastically reduced resulting in a decreased sensation of pain by a factor of up to 4.5 times lesser than conventional LASER. This results in faster treatment sessions (reduced by a factor of 10) resulting in lesser discomfort to the patient. The spots are uniform and well defined resulting in preservation of the sensitive inner retinal layers. This reduces the incidence of poorer night vision or reduced visual field. There is no expansion of the spots with no RPE atrophy or scarring. So there is minimal collateral damage. There is also minimal inflammation; therefore, reducing the incidence of LASER induced macular oedema. Overall it results in an improved patient experience. 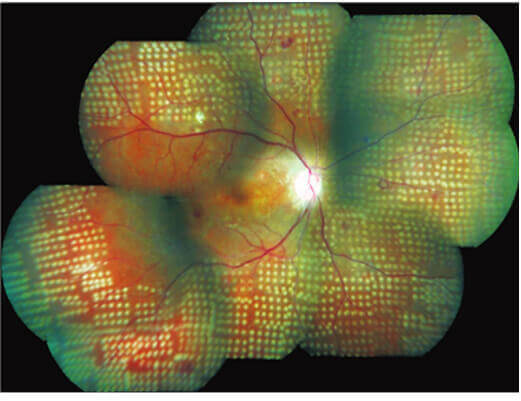 Fundus picture of a patient after multisport retinal LASER. Nd-YAG LASER (1064 nm) is used for anterior segment laser. This is usually of 2 types i.e capsulotomy and iridotomy. This is done to relieve pupillary block or in eyes with narrow angles which might result in increased intraocular pressure causing optic nerve damage (Glaucoma). In this procedure, drops are applied to constrict the pupil. After constriction is adequate, anaesthetic drops are applied and a contact lens is used to visualise the area to be treated. An alternate pathway is thus created to facilitate the drainiage of excess fluid tapped behind the iris. The procedure is painless and drops are advised for a week after the procedure. After a week the intraocular pressure and angles are reassessed by the ophthalmologist.